One more killed by Police! By Bangladesh Media; This time Police involved in "Shoot out". Location -Mirpur Shah Ali thana at the capital city. Referring to the local area people, The Daily Star report says that a 25-year-old unidentified youth was killed in police firing in the city's Mirpur Zoo area last night. But Anisur Rahman, officer-in-charge of Shah Ali Police Station, said the dead was an extortionist and was killed during a “shootout” between extortionists and the police. Locals said a plainclothes police team brought the youth near an under-construction building -- Setu Bhaban -- at Rainkhola Boxnagar. The police team halted traffic on the road for a few minutes from around 7:45pm. Locals then heard sounds of gunfire from the scene. 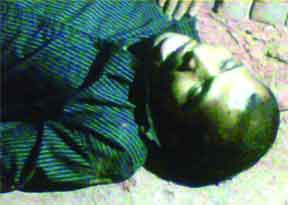 At about 9:15pm, a police van was seen leaving the spot with the youth's body. Dhaka Medical College Hospital sources said Shah Ali police brought the youth to the hospital at 9:55pm when he was already dead. Police said they had information that the extortionists were going near the building for extortion. As they rushed to the spot to make arrest, the extortionists opened fire, prompting the police to retaliate. Two police members -- assistant sub inspectors Mashiur and Moazzem -- were injured in the incident, the OC said, adding they were taking treatment at Rajarbagh Police Line Hospital.